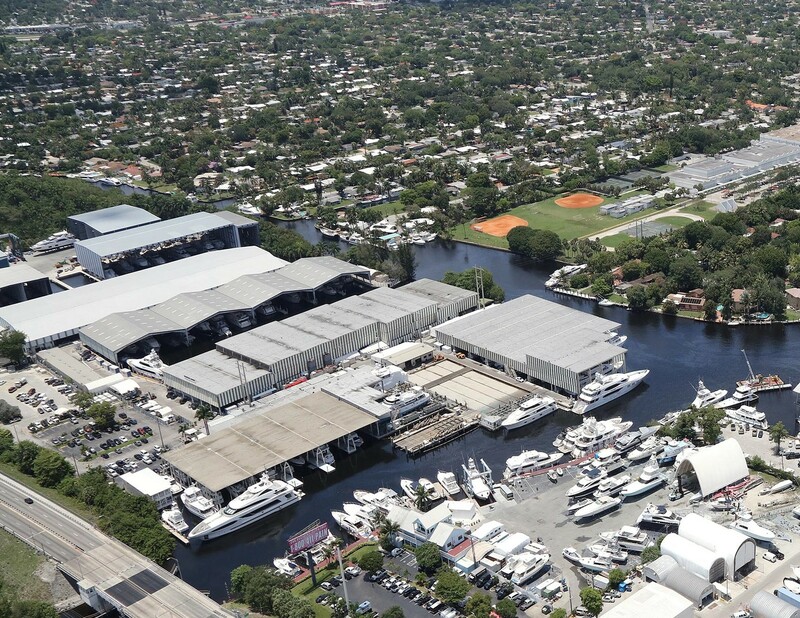 Fort Lauderdale Yacht Harbor, LLC (FLYH) announced in January the acquisition of Bradford Marine in Fort Lauderdale and Freeport, Grand Bahama. Bradford Marine was established in 1966 and grew into a leading megayacht repair facility, and marina and yacht brokerage operation. Fort Lauderdale is known as the yachting capital of the world, and the marine industry has an $8.8 billion economic impact in Broward County. Kelly said the area is poised for continued growth, and Freeport is positioned to be a world-class port featuring the deepest harbor on the Eastern Seaboard. FLYH is focused on yacht owners, captains and crew. “We will be working with this whole community to ensure we are their first choice for repair, refit, dockage and brokerage services,” Kelly said. New high-speed WiFi is being installed at both the Fort Lauderdale and Bahamas facilities. The WiFi network will cover the full yards to enable owners, captains and crew to access the internet for Voice Over Internet Protocol (VoIP), video conferencing and high-speed entertainment streaming. “This complimentary WiFi service will have the bandwidth and speed to allow for simultaneous use by all yachts in port, enabling everyone to be productive and entertained,” Kelly said. The traffic flow and parking for owners, captains, crew and guests is being improved at the Fort Lauderdale facility and new dockage will be added at both facilities. Kelly said additional enhancements will be announced as plans are finalized. Both properties will continue to operate under the name Bradford Marine and Bradford Marine Bahamas. FLYH Chief Executive Officer John Kelly said Paul Engle will continue as president of Bradford Marine and manage the daily operations, and Tom Thomas will remain as chief financial officer. Bradford Marine in Fort Lauderdale is one of the world’s largest in-water, covered facilities with 11,000 linear feet of slips and service bays. The covered slips can dock vessels up to 180 feet. Bradford Marine Bahamas was founded in 1997; it is located 60 miles off the Florida coast and can accommodate superyachts up to 500 feet. The acquisition of the Fort Lauderdale property closed on January 1; the acquisition of Bradford Marine Bahamas is pending governmental approval from The Bahamas. The purchase price is not being disclosed.